Deciding where to have your wedding is no easy business. But if you want something truly exotic (that will probably impress your friends), you should definitely consider having it in Africa. From the heart of the Kenyan savanna to the middle of the desert, to the most romantic island you can imagine, here are some of the best places for an African destination wedding. 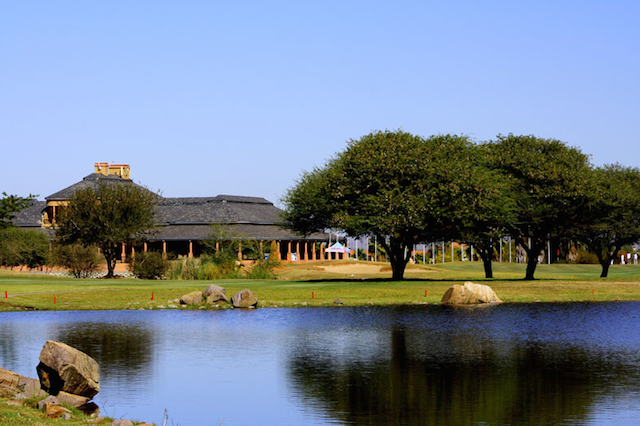 With beautiful scenery of the golf course and its surrounds, Phakalane Golf Estate and Hotel Resort is the ideal place to tie the knot. With a lovely wedding gazebo to keep you and your guests sheltered from the Botswana sun, this venue caters to both intimate and extravagant weddings, and offers the bride and groom a complimentary bed and breakfast in the hotel. Perched above Lake Naivasha in Kenya, the Great Rift Valley Lodge overlooks one of the world’s largest valleys. 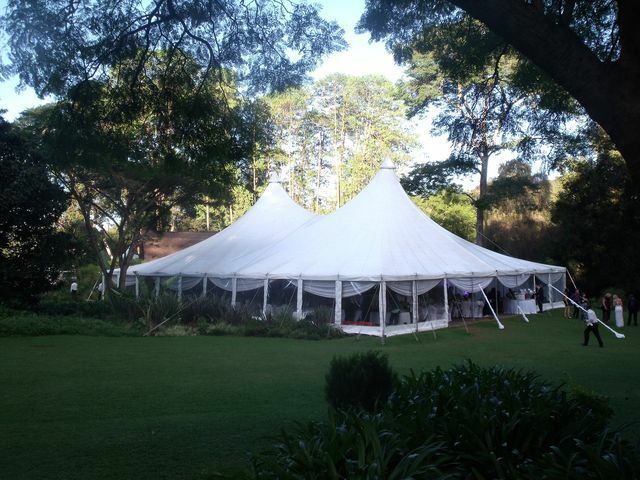 About one and a half hours outside of Nairobi, you’ll have the most amazing wedding backdrop of not only the sparkling waters of Lake Naivasha, but also the volcanic crater of Mount Longonot and the Aberdare Mountains. 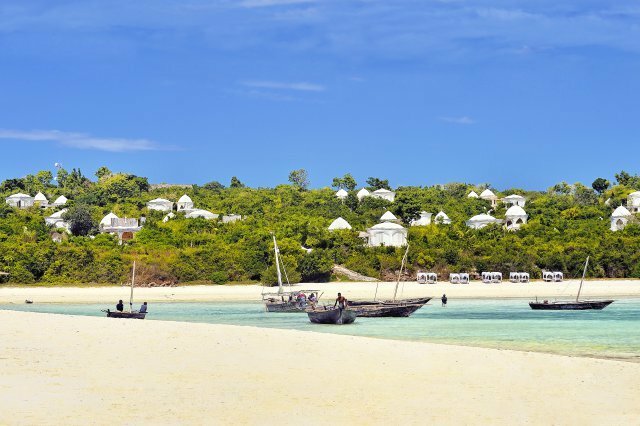 Located on the island of Zanzibar in Tanzania, Kilindi Zanzibar overlooks the turquoise waters of the Indian Ocean. With kilometres of private white sandy beaches and lush tropical gardens to choose from, you’ll have plenty of options for your wedding venue, reception and photo opportunity. Beautiful sand dunes will be your backdrop as you get married in the desert chapel in Wolwedans in Namibia. Wolwedans can accommodate up to 40 guests who can stay the night at the Dune Camp or Dune Lodge while the bride and groom enjoy their night in the stylish Mountain View Suite. 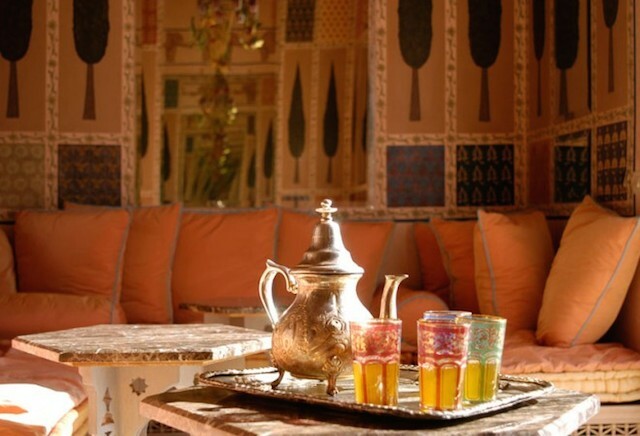 Situated in the city’s lush Palmeraie, Les Deux Tours in Marrakech is an ideal place to celebrate your special day. Have both your ceremony and reception in the lovely on-site gardens while enjoying drinks from the chic bar and amazing restaurants. In the heart of a 12-acre tropical garden is the luxurious Sugar Beach Resort. Stretching from the garden to the sandy beach below, you and you’re guests can enjoy your reception overlooking the Indian Ocean from the beachfront restaurant. Choose from a variety of indoor and outdoor venues at the spectacular Four Seasons Resort Sharm El Sheikh. 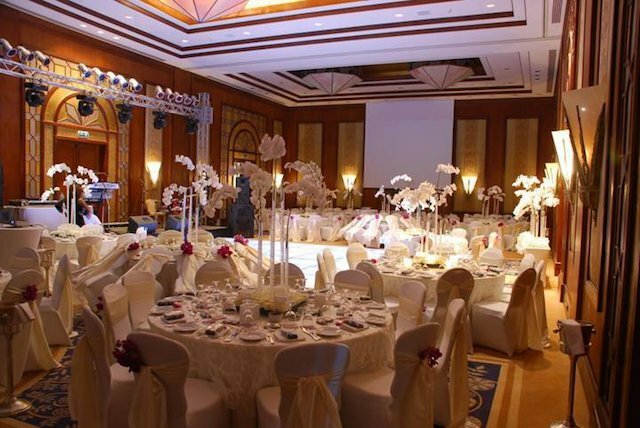 Overlooking the Red Sea, each venue has its own advantage, but all will leave you and your guests in awe. 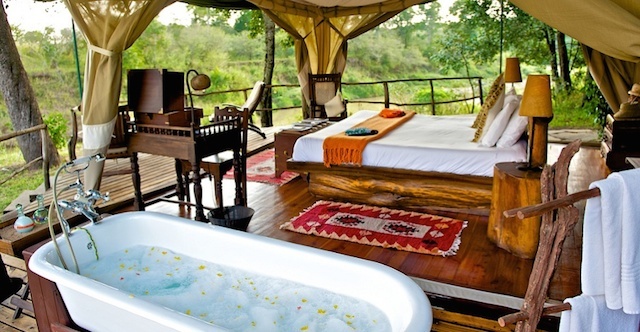 Spoil your guests with a glamping experience in the heart of the Maasai Mara National Reserve at Mara Explorer Camp in Kenya. 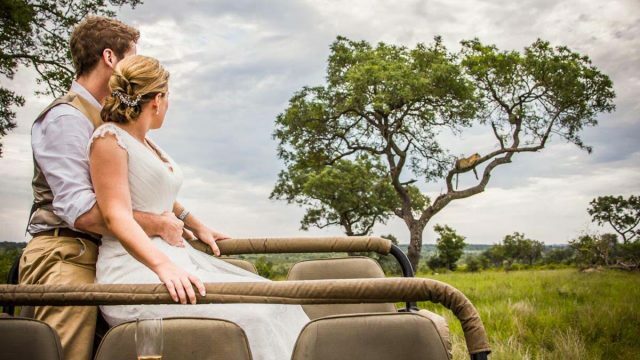 Home to Africa’s Big Five, this award winning camp is perfect for weddings as it is on the banks of the Talek River which is the ideal setting for a romantic moment. Nestled in the Umwinsidale Valley is Raintree. Perfect for weddings, this breathtaking venue offers unique landscapes of lush forests, manicured lawns and beautiful gardens to choose from. 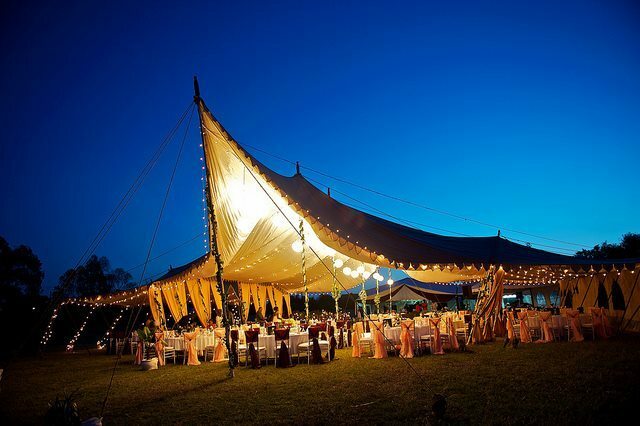 Marquees can be set up to shade your guests from the Zimbabwean sun — guests can also dip their toes in the Umwinsi River that runs through the venue. If you want a beach wedding then Coco de Mer Hotel & Black Parrot Suites is for you. With only one wedding allowed to be held at Coco de Mer Hotel & Black Parrot Suites per day, you are guaranteed privacy, excellent service and a lifetime of unforgettable memories. From the decor to the cake to the bride’s hair and make-up, this hotel takes care of everything for you. Like all Intercontinental Hotels all over the world, the one in Zambia upholds high standards of excellence and service. The staff will take care of everything for you and make sure your day runs smoothly. Guests are sure to be impressed by the large banquet hall. 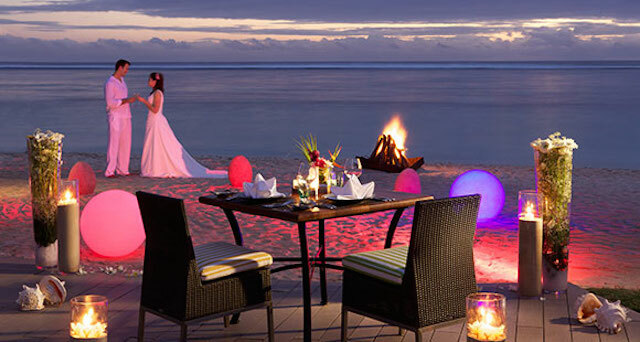 If you want an extravagant beachfront wedding, then head to the five-star Le Touessrok hotel. Your guests (up to 100) will be treated to a wedding feast of both traditional and western cuisine that will leave a lasting impression. Overlooking the Indian Ocean, the Voyager Beach Resort in Kenya is a beautiful three and a half star hotel just outside of Mombasa city centre. 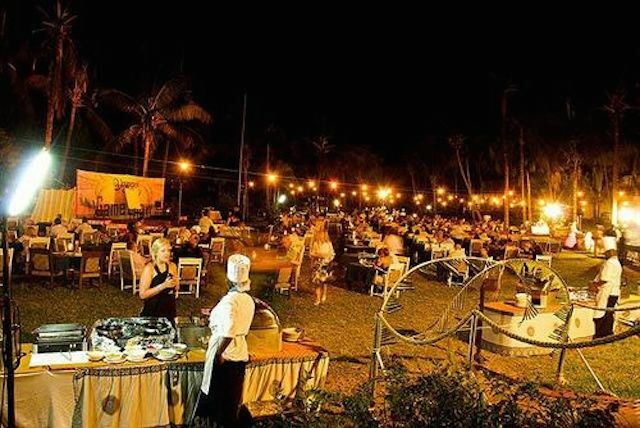 This affordable wedding option has a lush garden and a beachfront venue for you to enjoy your wedding. Imagine having your wedding in the heart of the Namib Desert. Well, now you can at Sossusvlei Lodge in Namibia. 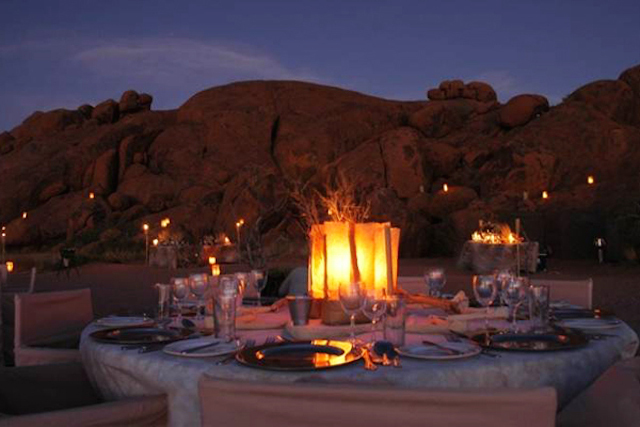 Your guests will be treated to a bush dinner with views of the red sand dunes and vast desert plains. 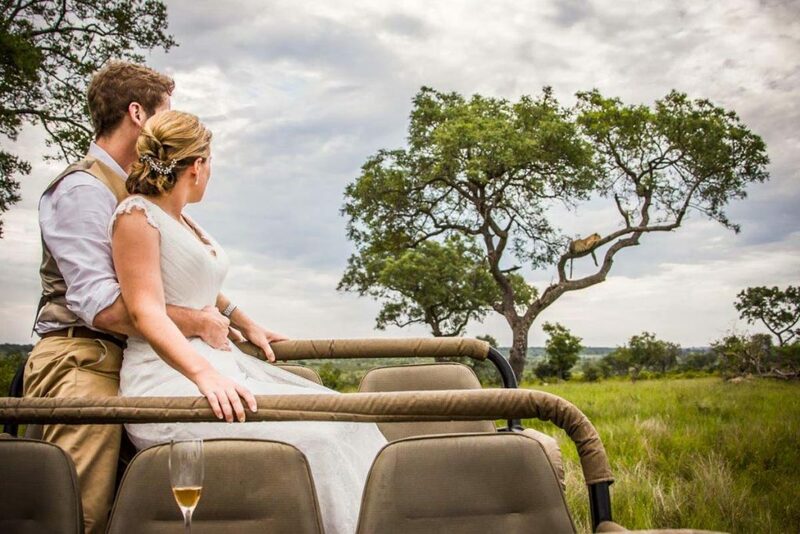 If you’re looking to have a classic bush wedding with a backdrop of African bushveld, Sabi Sabi Private Game Reserve (in Kruger National Park) can make your dreams come true. This five-star luxury lodge and reserve offers custom weddings to suit couples’ tastes, whether it be a traditional indoor day wedding with all the trimmings, or a contemporary night wedding under the stars. As a traveler, wordsmith and vegetarian, Lara Moses quit her 9-to-5 job to become a freelance travel writer. Now living her dream, she can be found exploring her hometown of Cape Town, when not jetting around the rest of Africa. You can read more of Lara’s travel adventures at www.freemadic.com.